So we're halfway through our swimming lessons this year and the girls are improving very quickly and loving every minute! 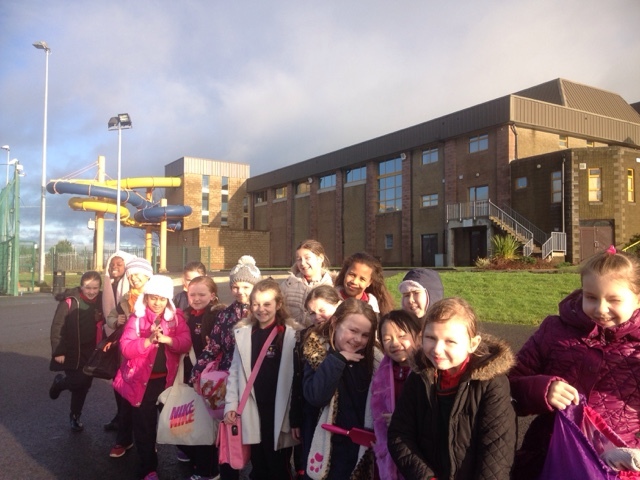 Here's a picture of us post-swimming, ready for a lovely sunny walk back to school! Wonder could we win a prize for "Most Squints in a Picture"?